At Vargas Face and Skin, we see a lot of patients who come in to discuss thinning hair or pattern baldness. We know that the topic is sensitive to our patients, therefore we feel fortunate that we can tell them that there is much that can be done to improve (if not reverse) many of their hair loss concerns with Hair Restoration Processes. There are oral or topical medications to treat hair loss, as well as many non-surgical techniques. But for many patients, hair transplantation is the natural, permanent solution they prefer. In the final part of our three-part series on hair restoration at Vargas Face and Skin, we look at hair transplantation techniques and, hopefully, answer a number of common questions about the procedure. Hair transplantation is not a new science. Some may be astonished to know that the first hair transplantation was performed in the early 1950s by a doctor in New York City. Although the original procedure was a great success, much work has been done to improve the theory and practice of hair transplantation over the decades that followed. Today, the procedure is enormously successful for a wide range of patients and hair types and is marked by a success rate that encompasses 95% of all transplanted hair follicles. What Do I Need To Know About Hair Transplantation Procedures? The first thing you need to know is that transplanted hair is permanent hair. The transplanted hair will display the same physical characteristics of the hair from the region where it was taken. The transplanted hair is not programmed to fall out. Therefore, hair placed in balding areas will keep its native characteristics and remain permanently. A good hair transplant is undetectable. We use modern techniques to recreate naturally looking hair. The development of micro- and follicular-unit grafts allows us to achieve a natural result. In other words, the transplanted hair is your hair (the procedure doesn’t work with other hair donors), so the result is entirely natural in appearance. 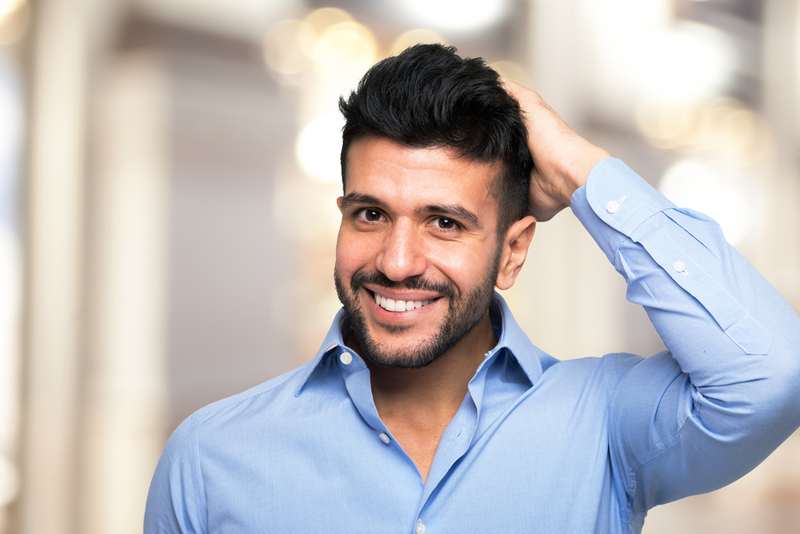 Another question we often receive about hair transplantation is in regard to the number of hair transplantation sessions the typical patient will require before seeing an expected outcome. It’s easy (and understandable) to say that every patient and outcome is unique. Individual expectations and the extent of the hair loss will ultimately determine the number of required sessions. Some patients want to know if they will have enough “donor” hair follicles to create the desired outcome. Again, each case is unique, but we can easily say that our technique is matchless in its ability to attain optimal hair density. Lastly, it should be stated that modern hair transplantation techniques are performed in our private office setting, where patients are comfortable and relaxed, but not overly-sedated. Once you get home, you’re only about 24 hours from being able to wash your hair as you would normally and go about your daily business. 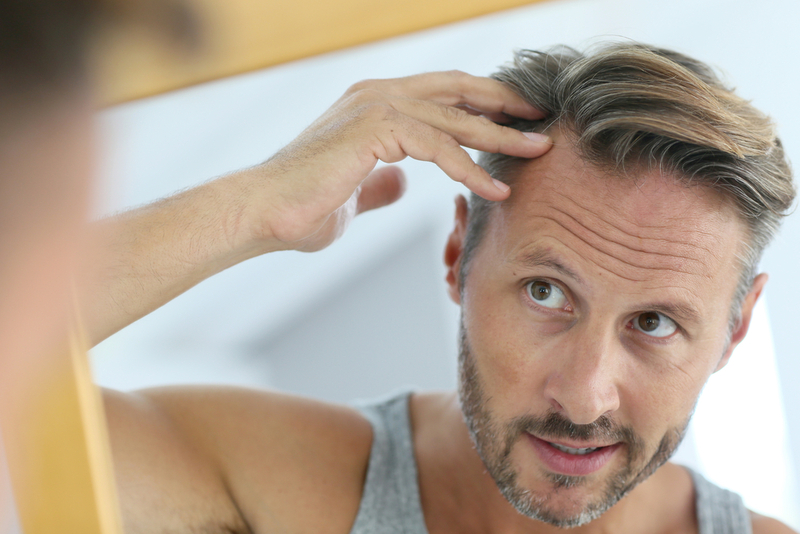 Transplanted hair takes 4 to 6 months to start growing, and growth is sometimes variable, so we tell our patients to not be alarmed if their hair takes longer to grow. After growth begins, the results are so natural that your own barber or hair stylist won’t be able to tell the difference.